Employ Hess’s Law of enthalpy based on the observed data for two reactions. Students can measure the temperatures of the reaction in a calorimeter and analyze the data calculating the enthalpy of each reaction. 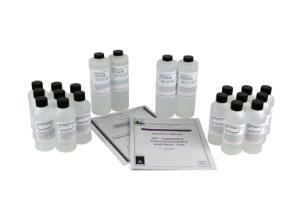 Ordering information: Kit includes Hydrochloric Acid, Sodium Hydroxide, Ammonium Chloride, and Ammonium Hydroxide.